Your show is only as good as its weakest link. Make sure you’ve got the best show technology on board. Whatever you are looking for to complete your event, Stage Bright is at your disposal. With incredibly strong links to hire and production companies up and down the country, we are able to source and supply top quality event equipment from Southampton to Glasgow. From Audio Visual equipment, including projectors, LCD screens and large-format projection screens, to high fidelity sound systems, we can ensure your event gets the professional equipment that it deserves. At Stage Bright, we understand that sometimes it can be a daunting task to oversee the equipment hire for your internal conference, meeting, party or event. It is for this reason that we aim to make the entire hire process as transparent and easy to understand as possible. Whether you are looking for some up lighters to highlight some branding at your next corporate event, or a complete room overhaul for your upcoming special day, we can help. Working closely with you from concept to completion, we won’t stop until you’re happy. Get in touch today to discuss your requirements for your next event. We know you don’t settle for less than the best, and neither do we. We only work with suppliers who are as passionate about their business as we are. Quality, Reliable Production and Conference Equipment hire. Working closely with esteemed suppliers, our pricing is incredibly competitive across the board. Furthermore we can travel nationwide with it. Based in Southampton, we can provide this equipment to venues, individuals and offices in Winchester, Romsey, Bournemouth, Southampton and even further afield. Get in touch today to receive your free quote on these not-to-be overlooked services, and find out how you can incorporate it into your next event. When you’re looking to hire conference or room theming equipment, for your next event in Southampton, Winchester, Portsmouth or even further afield, we can supply the kit you need. Fully prepped for every hire, you can rest assured that when the equipment is delivered to you, it will be completely fit for purpose, and thoroughly tested before arriving on site. 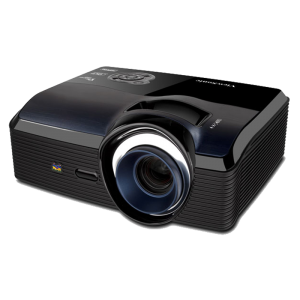 Whether you simply require hire of a single LCD projector for your meeting room, or a complete conference set, including sound systems, repeater monitors down the room and custom video content production, we can assist and consult on your requirements. 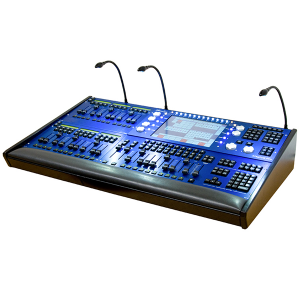 Whether you are looking to hire a Chamsys Magic Q Lighting control desk in Southampton, Portsmouth or Bournemouth, or any other type of equipment, you need a company you can rely on. With over a decade of experience working in the event hire industry, Stage Bright understands the importance of well-prepped equipment. Each time you hire any equipment through us, you can be sure that it has been properly prepped, and includes everything that you will require to have a successful show. Please be aware that when you hire equipment from Stage Bright, that you agree to be bound by our Terms and Conditions of hire for the duration of your event. This can be explained in upon request. For further information, please get in touch. the end result was beyond our expectations. and made the event better than we could have imagined! you know your event is in safe hands with Stage Bright!